Purifying water for Businesses, one drop at a time! How are your green building projects handling grey and rain water? Green building is fast becoming a necessity for companies and homes. 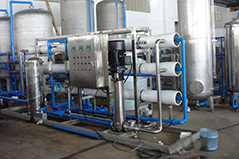 Ensure that your projects have a quality grey water treatment system, from architecture to engineering and building. We Know Your Needs. We Can Help. Contact Us. BENEFITS OF THE ENVRO WATER GREY AND RAIN WATER TREATMENT SYSTEM. Maximise water usage for your clients through grey water treatment plants, water efficient sanitary fittings, rainwater harvesting, sump pits for collection of previously wasted water and other water-wise features. Find out how Envirowater can help you design, engineer and build better green solutions for your clients.